The Hamas Movement has accused the Palestinian Authority (PA) security apparatuses of refusing to comply with court verdicts ordering the release of three political prisoners and persisting in illegally jailing many others. According to a press release issued by the Movement on Saturday, the PA intelligence apparatus has been detaining prisoner Tha'er Odeh for 49 days despite a court release order and extended the detention of Fadi Karakera for 15 days. The PA intelligence still continues to detain Sheikh Abdullah Yasin, who obtained a court release ruling, for the 40th consecutive day with no regard for his poor health condition. A PA court, in turn, extended the detention of political prisoner Anas Eshtiwi for 15 days at the behest of the preventive security apparatus. The preventive security, for its part, refused the release a Palestinian man in his 50s named Namer Khadraj despite his suffering from several health problems. 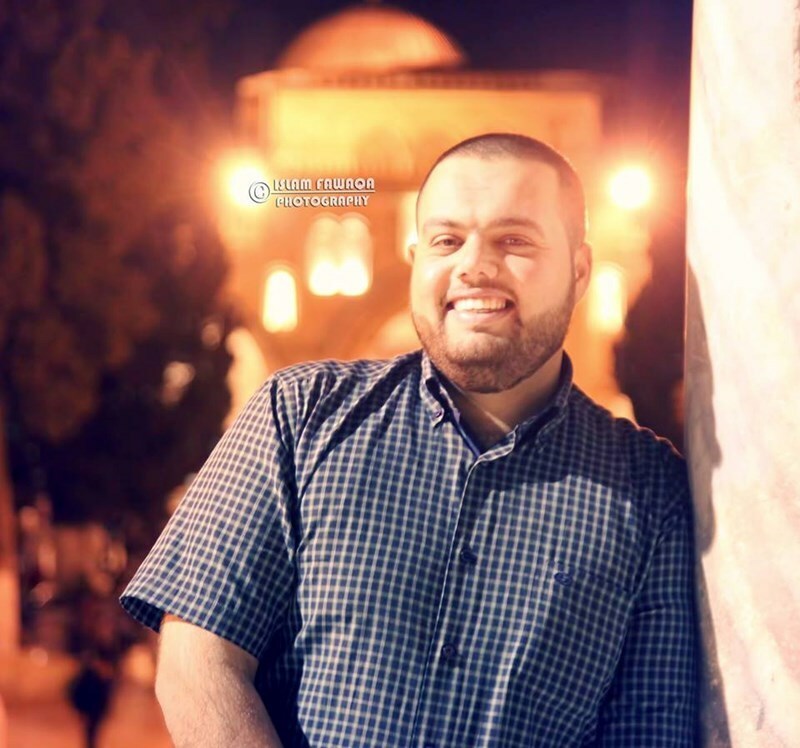 The same security apparatus also extended the detention of Rami al-Rajoub, a university student, for 48 hours, although a PA court in al-Khalil had ordered his release. Hamas security forces on Wednesday detained a Gazan journalist several months after she wrote a report critical of the Hamas-run Ministry of Health, her father told Ma'an. After journalist Mushira al-Hajj wrote the article, the Ministry of Health filed a complaint against her to the Hamas-affiliated attorney general, her father Tawfiq said. Tawfiq, who is a local poet, said that both he and his daughter were asked to apologize about the report, but they refused. He said that his daughter's arrest on Wednesday followed as a result. Gaza-based rights groups said in statements that she would initially be detained 48 hours for questioning in the coastal enclave's Ansar prison. 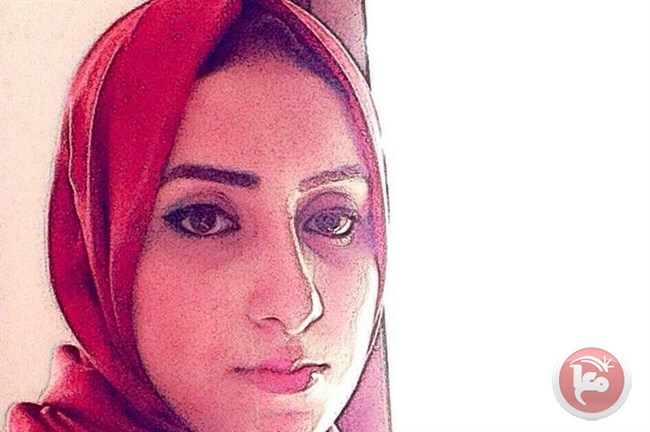 Mushira al-Hajj, 28, has worked with a number of local media outlets. She is married and has a daughter. Earlier this year, a Palestinian journalist working for al-Jazeera accused security forces in Gaza of physically assaulting and detaining him. The Gaza Center for Press Freedom reported hundreds of "violations of press freedom" to have taken place across the occupied Palestinian territories last year, in what was the deadliest year for Palestinian journalists on record. While this included 295 violations committed by Israeli forces, it also included 82 violations of press freedom committed by Palestinian authorities, who arrested or summoned 28 journalists and injured or assaulted 26 more. The Palestinian Authority (PA) security apparatuses at dawn Friday broke into the home of the Palestinian martyr Yahya Ayyash, in Nablus, in an attempt to kidnap his son Baraa, shortly after an 18-month-old Palestinian boy was burned to death by Israeli settlers. A PIC journalist quoted Baraa’s mother as saying that seven patrols of the PA Preventive Forces broke into Ayyash’s family home at 1 a.m. and wreaked havoc on the building. Political prisoner Abdullah Shatat started an open-ended hunger strike after a Palestinian Authority (PA) court extended his detention for 15 days, pending further investigation. Lawyer Samer Salman, who defends political prisoners in PA jails, told the Palestinian Information Center (PIC) that the PA preventive security apparatus had referred Shatat a few days ago to the public prosecution office, where he was charged with inciting violence and stirring up feuds. Shatat, then, denied the accusations leveled against him for the fourth time running, but the prosecutor extended his detention for 48 hours before referring him to the court, which, in turn, renewed his detention for 15 additional days, lawyer Salman explained. A PA court had released the prisoner several months ago after his indictment on similar charges, the lawyer noted. The prisoner told the lawyer during a visit about his decision to go on hunger strike to protest his detention with no guilt. The lawyer said he submitted a request to the court to release Shatat on bail, considering that the prisoner's wedding would be held soon. Seven Palestinian citizens were arrested overnight at the hands of PA Security Forces for being affiliated to Hamas Movement, while another was summoned for investigation. 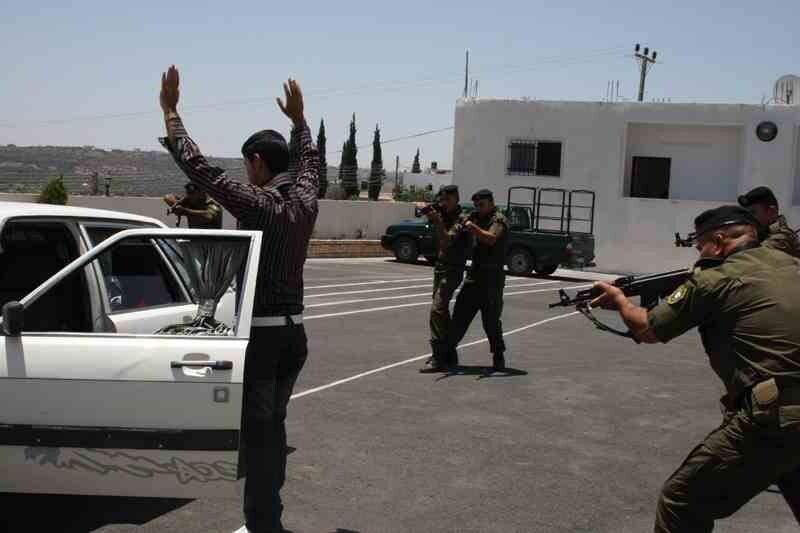 In Ramallah, PA Preventive Forces arrested an ex-detainee after storming and searching his home few days ago. Another ex-detainee, who served five years in Israeli jails, was also arrested after being summoned for investigation. 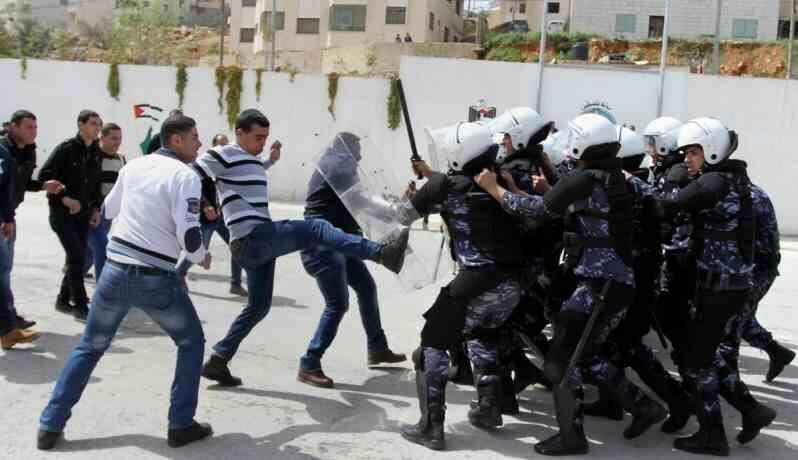 In Ramallah, PA forces stormed the martyr leader Yahya Ayyash’s home in a failed attempt to arrest his son Baraa. The raid was the second of its kind within few days. Baraa was held several times in PA jails. 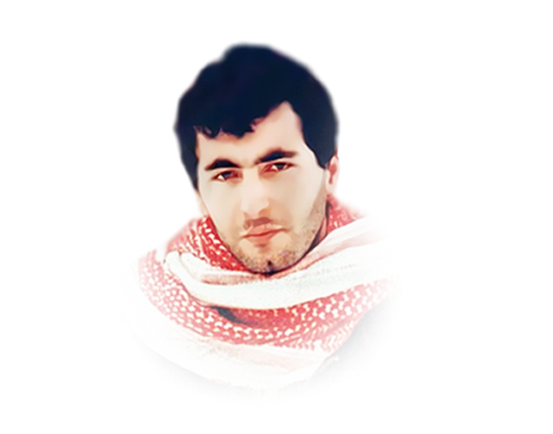 Yahya Ayyash was one of the most brilliant leaders in the Qassam Brigades, the armed wing of Hamas. The ex-detainee Mutassam al-Hit, 27, who served in Israeli and PA jails, was also detained despite suffering different health problems. Most of his family members were subjected to arrest at the hands of both PA and Israeli forces. Along the same line, PA Intelligence Services summoned ex-detainee Omar Dawabsheh for investigation. In Tubas, PA Preventive Services continue to arrest the ex-detainee Abdullah Bani Odeh who was arrested only five months after his release from Israeli jails. PA forces also arrested an ex-detainee from Tulkarem and a university student from Salfit after being summoned for investigation. 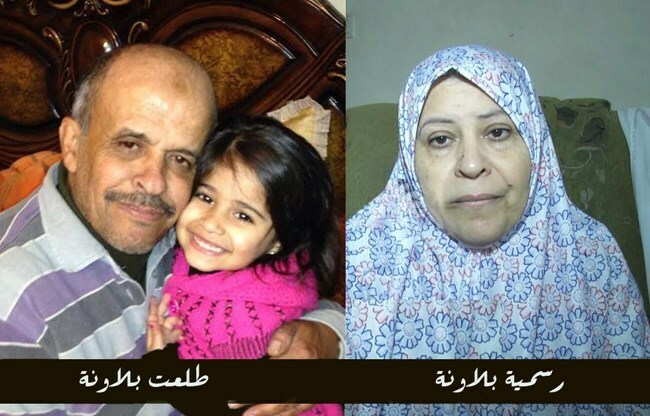 In Bethlehem, PA forces extended the arrest of the ex-detainee Rashed Yamani for 48 hours and the political detainee Mujahed Dweib for 15 days. 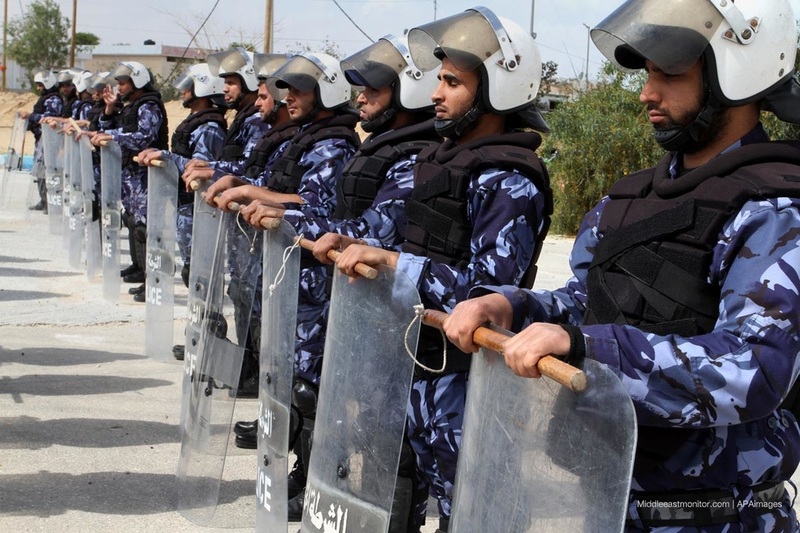 The Palestinian Authority (PA) security apparatuses have decided to hold military trials against two political detainees affiliated with Hamas and persisted in detaining others with no guilt. In Ramallah, the PA security refused a court order to release prisoners Muaad Hamed and Ahmed al-Shebrawi on bail and decided to refer them to a military court. Both of the detainees are accused of opening fire at Jewish settlers and killing one of them in Nablus. Meanwhile, prisoner Osaid al-Banna, a student at Birzeit University, has been on hunger strike since last Wednesday in protest at his detention without committing any offense. The family of Banna reported his exposure to physical violence at the hands of PA interrogators to force him to break his hunger strike. In al-Khalil, prisoners Abdul-Rahman al-Khatib, Mujahed Tafesh and Ahmed Abu Isha, all university students from the Islamic bloc of Hamas, have been in PA jails for several days. Ahmed Abu Isha started five days ago an open-ended hunger strike to protest his illegal detention, according to his family. In Jenin, the PA security preventive apparatus extended the detention of Hamed Massad, a student at al-Madina University, for 15 days and summoned Abdullah al-Mahmoud, an ex-detainee in Israeli jails, for interrogation. 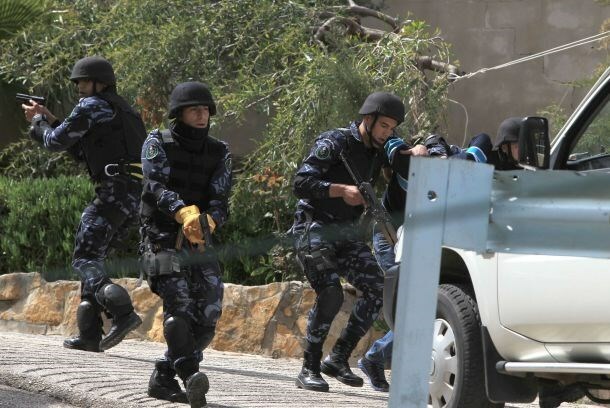 The Palestinian Authority (PA) security apparatuses apprehended a number of Islamic Jihad affiliates and summoned others for interrogation in the northern West Bank city of Jenin, the Movement reported Sunday. 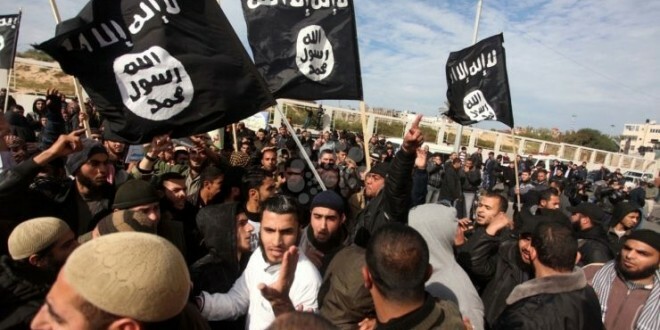 According to an official source at the Islamic Jihad Movement, the PA apparatuses launched an abduction campaign and summoned activists for interrogation on account of their involvement in arrangements for funerals and mourning ceremonies for Palestinian martyrs. “The disgraceful practices carried out by the PA apparatuses against Palestinian activists and families aim at spoiling the manifestations of national unity emerging at such precious times when tribute is being paid to our martyrs,” the same source added. Palestinian Authority (PA) security services in the West Bank have released Palestinian-Brazilian citizen Islam Hamid after five years in jail, including 102 days of hunger strike, Anadolu and other media sources reported on Tuesday. Relatives said that Hamid was released in the presence of his mother and wife, as well as the deputy Brazilian consul to the PA. The PA obliged Hamid to sign a document in which it forgoes responsibility for his security after his release. His wife said that this measure was taken as a result of "false information" that was "dragged" from Hamid while he was in prison and passed to the Israeli occupation. 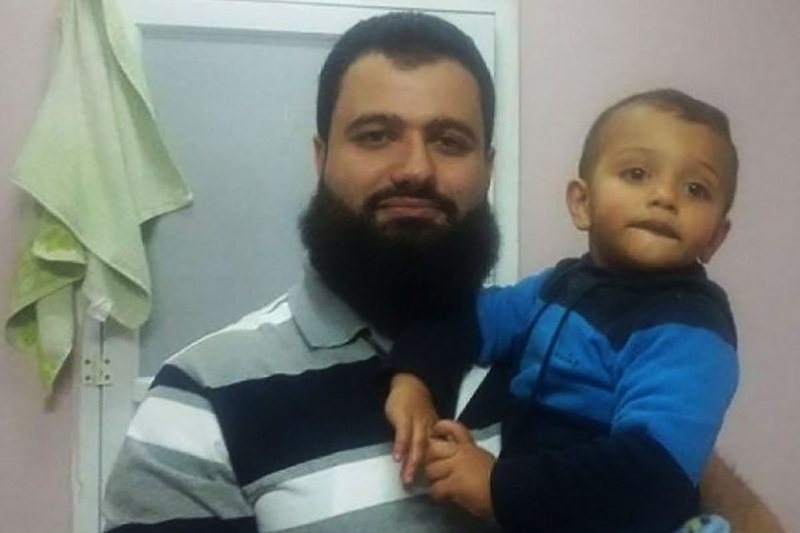 The spokesman of the PA security services Adnan Al-Dameeri said that Hamid spent his three-year sentence and remained in prison for extra two years to protect him from being arrested by the Israeli occupation. However, family and Palestinian rights groups said that Hamid was released after 102 days of hunger strike inside PA prisons. He protested against ill-treatment and being incarcerated for no reason. Hamid, from Silwad Neighbourhood in the east of Ramallah, was arrested by the PA in September 2010. He was sentenced to three years, but the Supreme Palestinian court cleared him after one year. Hamid was arrested after he was wounded in a fire exchange with an Israeli settler near Ramallah. His wife said that the PA released her husband after he "became very sick". 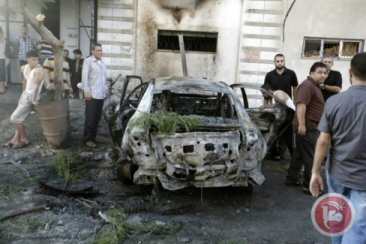 The Gaza Ministry of Interior said it arrested two suspects on Sunday, in relation to attacks on five vehicles belonging to the military wings of Hamas and the Islamic Jihad, the day before. A ministry spokesperson, Iyad al-Bazm, said the suspects were undergoing interrogation. He also added that the ministry would not allow any interruptions to peace and security in the Gaza Strip. The five car bombs targeting the two military wings went off in near-simultaneous blasts on Sunday morning in the center of Gaza City and its northern neighborhood of Sheikh Radwan. Leader of cell is Hamas operative released in Shalit deal; terror cell also behind shooting at MDA ambulance. Israeli security forces have arrested the terror cell responsible for the murder of Malachi Rosenfeld last month near Shvut Rachel in the West Bank, it was cleared for publication on Sunday. This terror cell was also behind a shooting two days earlier at a Magen David Adom ambulance and other Israeli vehicles near Beitin, which ended without casualties. The cell members admitted to have committed these attacks and attempting to commit another attack on June 6, 2015. The brains behind the terror cell, Ahmad Najar, a Hamas operative, was not among the suspects arrested. He was imprisoned in Israel several times in the past, most recently from December 2003 until October 2011 over his involvement in a shooting attack that claimed the lives of six Israelis. After his release as part of the Shalit deal and expulsion to Gaza, Najar moved to Jordan, where he has been working to organize and fund terror attacks. His brother, Amjad Najar, also a Hamas operative, was arrested on July 7. In his interrogation he admitted to facilitating the transfer of instructions, weapons and funding from his brother in Jordan to the West Bank for the attack. He was previously arrested in the 1990s for involvement in terror activities. 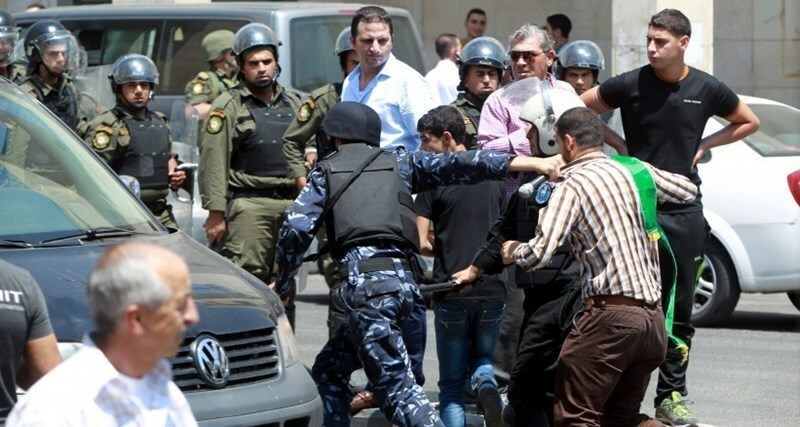 Abdallah Ischak was also arrested on July 7. In his interrogation, he admitted to being directly involved in the two attacks, saying he drove the car used by the cell and participated in other armed activity. He was previously in Israeli jail in 2010-2011 for arms trade and terror activities. In 2006, he was involved in the planning of a terror attack. 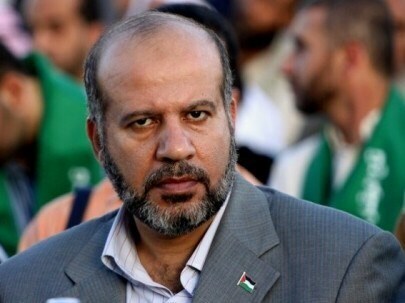 Fa'ez Hamed, a Hamas commander, was arrested on July 9. In his interrogation, he admitted to planning the attacks and being involved in another attempted attack. He was arrested several times in the past for his activity within Hamas. Jamal Younes, Ahmad Najar's father-in-law, was arrested on July 10. In his interrogation, he admitted to scrapping the car used in the attack, mediating on an arms deal for the attack, and to meeting Ahmad Najar in Jordan. Some of the cell members were arrested by the Palestinian security forces, among them Mu'ad Hamed, who led the terror cell and committed the shooting in both attacks and Ahmad Shibrawi, who helped plan the attacks and provided the weapons used. Both Hamed and Shibrawi, Hamas operatives, were arrested several times in the past for his involvement in planning terror attacks. 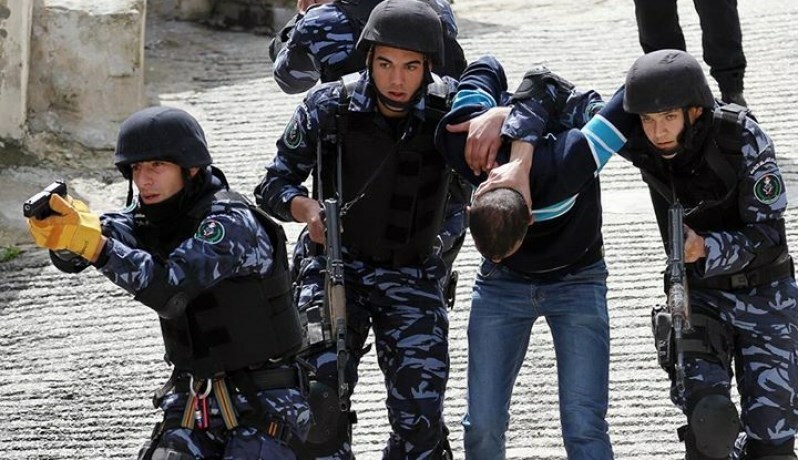 The Palestinian Authority has recently conducted the largest wave of arrests in years against Hamas operatives in the West Bank. Arrests were made all across the West Bank and included 170 Hamas operatives. Two weeks ago, a Palestinian security official told Ynet that there was a direct link between the series of recent shooting attacks in the West Bank and the wave of arrests. On the eve of Eid al-Fitr, the PA Security Forces continue to arrest 250 Palestinians detainees over their political affiliation. The committee for the families of political prisoners said in a press statement issued Thursday that 250 Palestinian families celebrate Eid al-Fitr without a father or a son due to the PA political detention policy. Some of the political detainees held in PA jails went on hunger strike for more than a month, some others were subjected to severe torture, the committee said. The committee called on Palestinian people to stand behind political detainees’ issue till achieving their freedom. The statement declared that a solidarity campaign will be launched under the slogan of “we will not forget you” in support of political detainees held arbitrary in PA jails and dentition centers. The Palestinian Authority (PA) Preventive Forces in Tulkarem afternoon Wednesday summoned the parents of a Gazan ex-prisoner for interrogation on account of a letter sent by a daughter of theirs residing in the U.S.
A PIC journalist quoted ex-prisoner Shadi al-Balawna, released in the Wafa al-Ahrar prisoner swap deal, as stating that the family was shocked by the decision of the PA apparatuses to summon his 60-year-old father Tal’at Awad Balawna and 53-year-old mother Rasmiya Mohamed Balawna for interrogation. The PA apparatuses threatened to break into the family’s home and arrest the parents in case they do not refer to the PA investigation center. “My parents headed to the PA headquarters shortly before they found out that the summons was issued on account of a letter from my sister who lives in the U.S. in which she asked the family to get a passport for her daughter,” Shadi said. Both the mother and the father were released a couple of hours later following exhausting interrogation on the letter. Ex-prisoner al-Balawna slammed the PA forces for having mistreated his elderly parents, calling them on to cease such bullying tactics. “My father was arrested by the PA several times before and had been subjected to severe torture with no regard, whatsoever, for his age,” Shadi said. “The Israeli occupation sentenced my mother to one year in jail and a 50-thousand shekel-fine because of her attempts to keep in touch with her only son, Shadi, who was deported to blockaded Gaza,” he added.